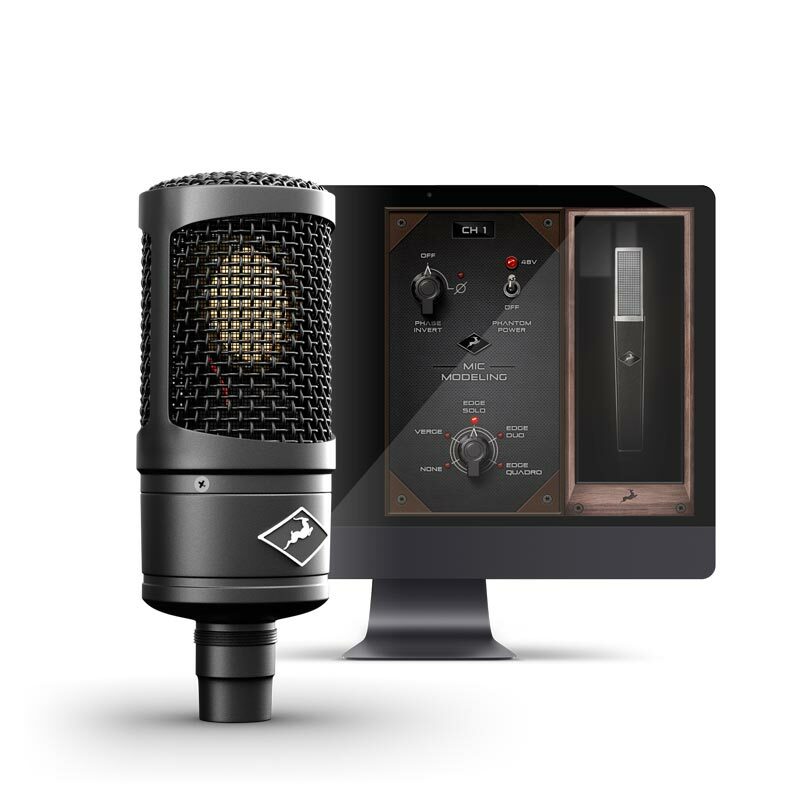 The Antelope Audio Edge Solo Modeling Microphone is a single-capsule large-diaphragm condenser microphone capable of emulating some of the most iconic vintage microphones in the world with unparalleled accuracy. This powerful modeling microphone features a fixed cardioid pickup pattern, making it incredibly easy to use—just point it at the sound source, choose one of the emulations and start tracking. Outfitted with custom electronics designed by Antelope’s award-winning engineers, Edge Solo is capable of capturing sounds with pinpoint precision. This single-capsule condenser mic features a single 6-micron gold-sputtered membrane to provide superior transient response. The low-resonance body and low-reflection headbasket produce hyper-accurate recordings with a neutral frequency response from 20 Hz - 20 kHz. Edge Solo is perfect for capturing any sound source—with an impressive dynamic range of -116 dB THD+N. But nobody buys a pack of crayons for the beige one—the real charm of the Edge Solo lies in its ability to emulate more colorful mics. Edge Solo is specifically designed to be the perfect companion to Antelope Audio’s precision mic preamps and converters. When paired together with Antelope’s native mic emulation plug-ins, the possibilities are endless. Available in VST, AU and AAX formats for both macOS and Windows, Antelope’s native AFX plug-ins allow you to shoot out some of the world’s most renowned studio microphones in real-time. Choose from the hyper-accurate emulations modeled from an exquisitely preserved collection of classic microphones in one of the most respected facilities in Germany. iLok 2 or 3 required. Not included in the pack.